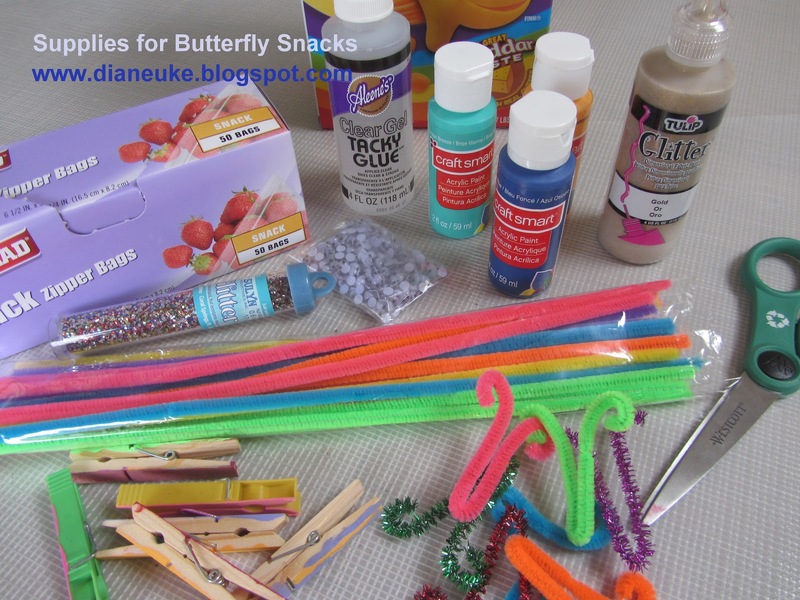 A darling Pinterest post was recently made by Juggling With Kids with Butterfly Snacks for children to make. When Lola saw this post on Pinterest, she went wild and hounded me until she could make her own with sister Natalie. Below are their results. 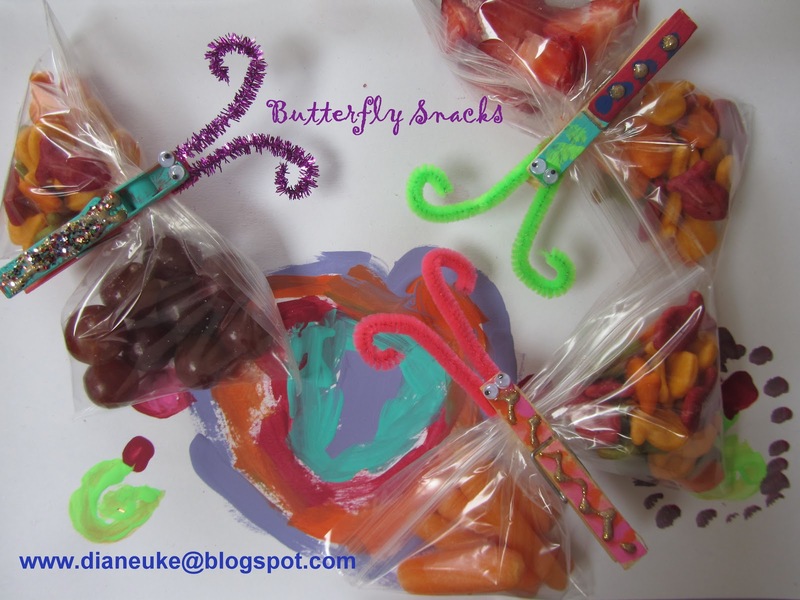 These are filled with carrots, strawberries, red grapes and colored Goldfish crackers. The original post was from Family Fun Magazine and both websites give very good instructions. I think the snacks will taste as good as they look!